Awesome Games Done Quick 2016 has wrapped up. The event raised around 1.2 million during the week long charity stream where around 160 games and 200 players donated their time and expertise to give the gaming community an entertaining 24/7 display of gripping moments, glitched games and great commentary. This list is a compilation of the best runs throughout the event, spanning races to co-op, blind-runs to glitch exhibition. 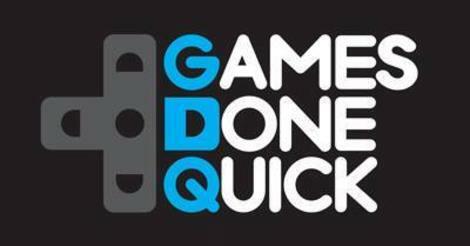 Hope you enjoyed the list and to watch other picks from great runs, scroll down the bottom to find my other posts from AGDQ and SGDQ events. This list, in particular, is for those that find all of the hacks and glitches to whittle down the times through means other than optimized movement. Finding out how to influence the RNG, influence enemy behavior, and that one glitch to give you infinite items. This list, in particular, is for those that have dedicated their time to particularly difficult games, where the barrier to entry of even completing the game is high. And there’s also a few that are just cool because of interesting techniques involved to compete at such a high level. This list, in particular, is for the races at the event. 2 or More people employing the best routes, best frame-perfect tricks that they’ve practiced to edge out an extra few seconds so they can beat their rivals.